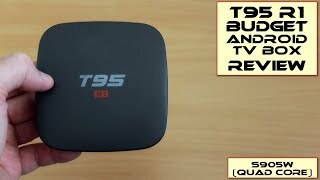 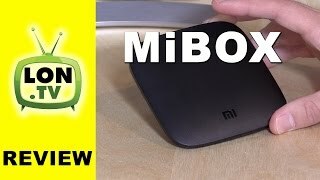 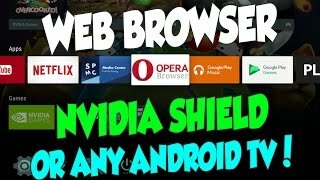 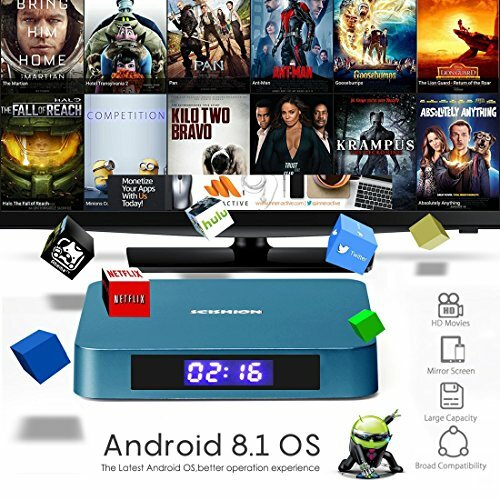 【Android 8.1 Operation System】:Tishow Android TV box Come with updated Android 8.1 operation system which gives you the benefit of using all the latest updates and enjoy advanced technology, optimized for home entertainment. 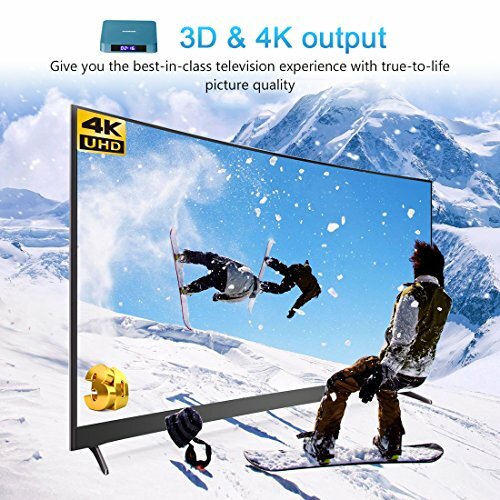 【4K FULL HD AND 3D】:With This Android TV Box,No need go to The cinema to watch 3D movie, The 4K 1080i/p resolution is 4 times more than full HD. 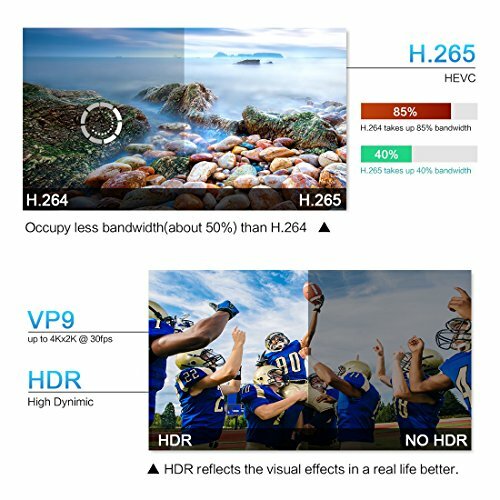 Professional H.265 video decoding technology can saves 50% of bandwidth resources. 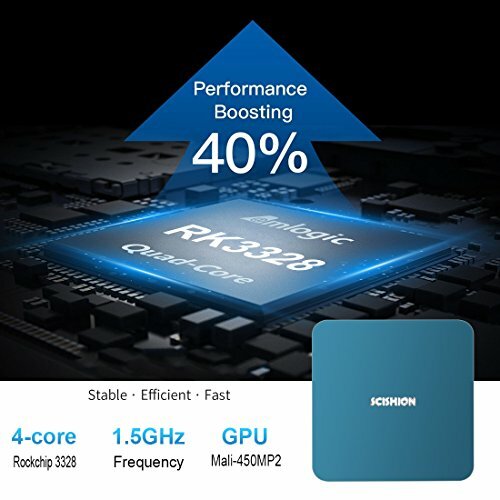 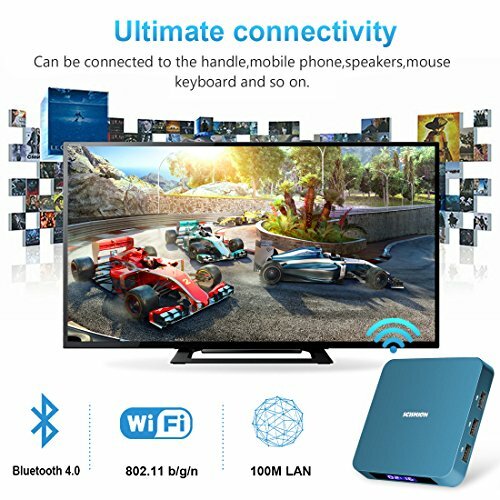 【Powerful Quad-Core Processor and USB 3.0】:This Android TV box has Newest RK3328 Quad core ARM Cortex-A53 & 64 bits CPU & Advanced WIFI Chip makes your tv box running faster than other box on market!The USB3.0 can transfer large capacity files (such as HD movies)at storage rates defined by storage devices, and can optimize the machine to reduce energy consumption. 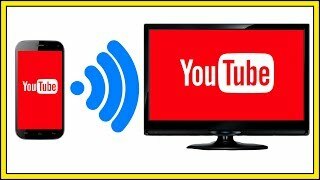 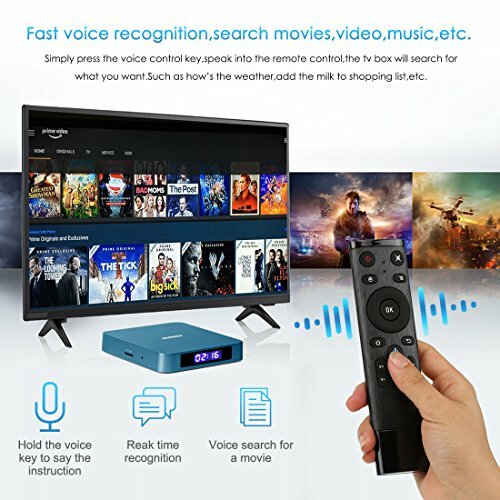 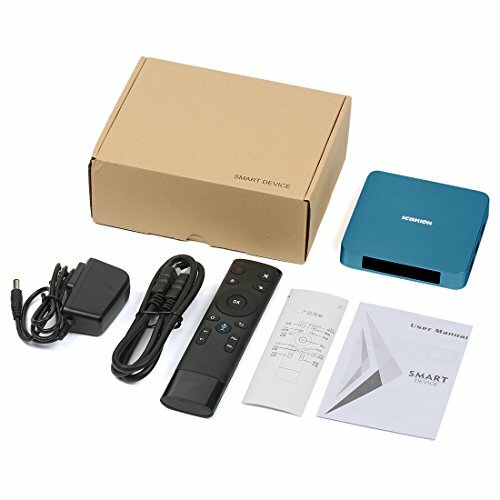 【Fast Voice Recognition】:The android tv box supports voice control.Simply press the voice control key, speak into the voice remote control, the android tv box will search for what you want Such as how's the weather, add the milk to shopping list,etc. 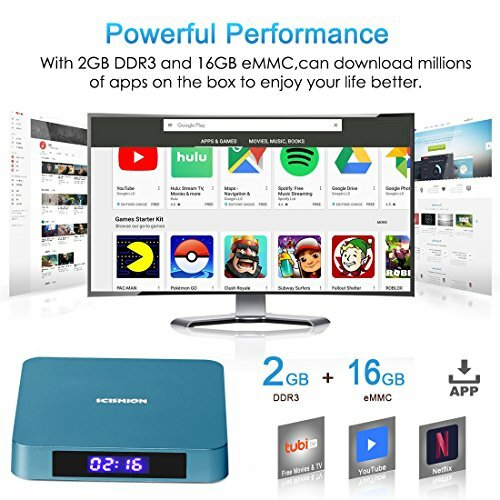 【2GB DDR3 16GB EMMC FLASH STORAGE】: AI ONE Android TV Box provides plentiful room 2GB RAM 16GB ROM to quickly start your apps and games. 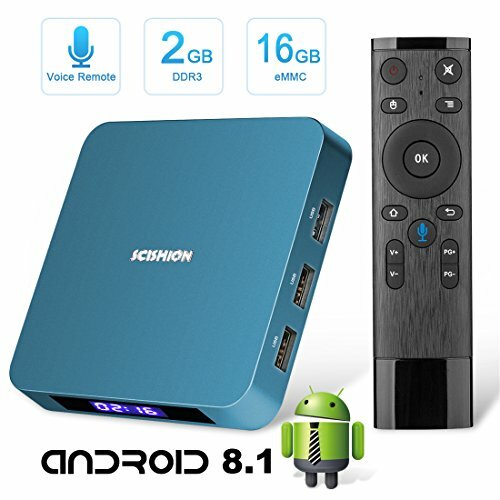 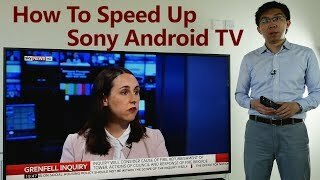 You can also add an extra TF card to expand storage up to 64GB, which improves the reliability of your android TV box and prevents crashes due to lack of memory.